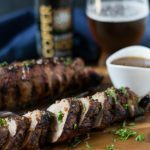 Beer Mustard Crusted Pork Loin is just in time for Oktoberfest with beer mustard and brown sugar marinated and coated on pork loin grilled to perfection. I’m baby stepping my way back. It’s been a real crap storm of a year and I needed a break. The kind of break that heals the soul. The kind of healing that can only be accomplished by time. The kind of time spent spent at the beach for a week with my family. The mixture of sweet and bitter to get to spend the week with one sister, yet missing another and her 7 year old triplets because the universe had other plans for them. Time spent with my mom having dinner and drinks. Sitting in a quiet corner of Harry’s talking about old friends, life, loss, and heartbreak. Time spent fishing with my dad all day long from my dock. An experience made even better by my dad’s willingness to bait my hook and release the giant ugly catfish I caught. For this, I’ll forgive him for turning up his nose at my craft bear while drinking The Beast. Time spent kayaking around the lake, sunset dinners on the deck overlooking the water with Chris, pedicures, life jackets and little kids jumping off the dock into the water, me jumping off the dock into the water, Great Blue Herons and Turkey Vultures, drifting around the lake on a raft with a floating cooler of my favorite summer craft beers, laughter, kids fishing, good trashy books, good friends, meeting new friends, boat rides, water skiing, cook-outs, baked beans, burgers and dogs, popsicles, and of course, plenty of craft beer. It’s been a summer of healing, friends. And now I’m back. I can’t think of a better way to return than with a craft beer celebration just in time for Oktoberfest. 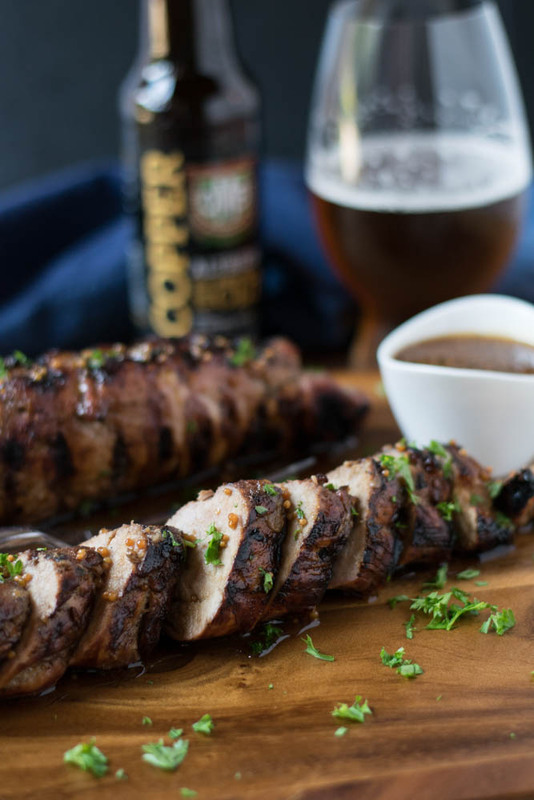 Milena from Craft Beering has gathered a bunch of friends together to bring you a collection of recipes for an Oktoberfest Bash. I give you a Beer Mustard Crusted Pork Loin. Scroll below the recipe for a complete list of Oktoberfest Bash food and links to the amazing recipes. 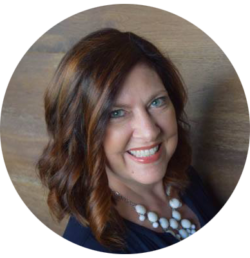 I’m Rachelle, an attorney by day with a passion for home brewing and cooking with craft beer. 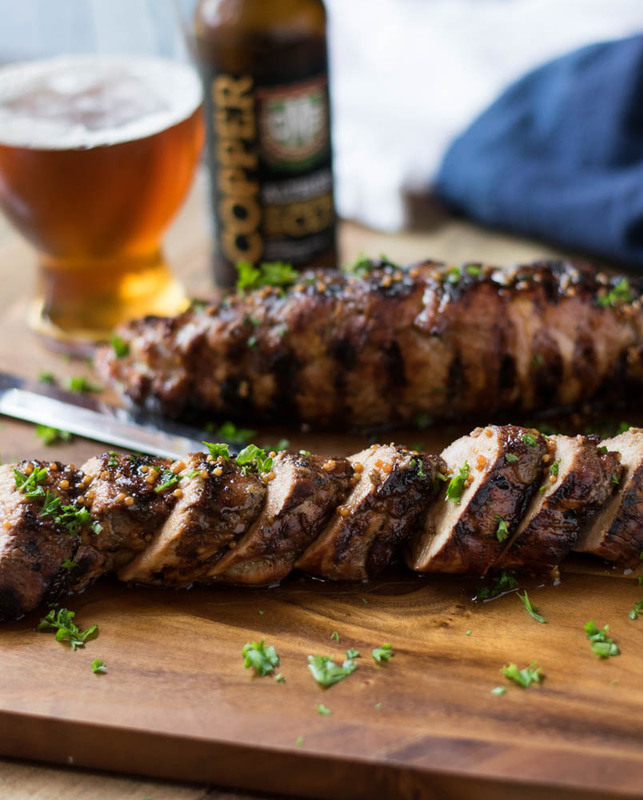 Beer Girl Cooks is a website designed for cooking with craft beer for adults over 21. Please do not serve alcohol to minors.